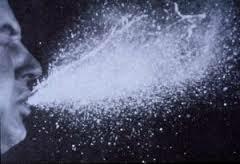 Causing human influenza annually mainly in temperate climates during cold months (winter) spreading via sneezing , coughing or even touching contaminated objects can transmit the influenza virus leading to disease that can be mild or severe infections that can lead to death of some vulnerable persons e.g. extreme age group , pregnant mother persons with chronic diseases , immunocompromised persons. Circulating as influenza A causing fewer infections and outbreaks and are named after the areas where they were first identified, Yamagata lineage and Victoria lineage. Be aware that these animal viruses are entirely different from human influenza viruses and do not spread smoothly in between people. Some of those viruses may occasionally infect people, though, it may cause disease varying from mild conjunctivitis to severe pneumonia and even death.